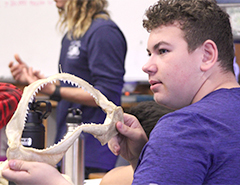 After over a year of planning and fundraising, our 8th grade students were able to take advantage of a once-in-a-lifetime opportunity to attend SeaCamp, a marine science education center for teenagers in the Florida Keys. The class of 2019 spent 5 days in California last fall. 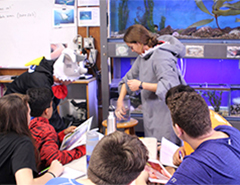 Students attended lectures on marine biology, ecology, and environmental science. 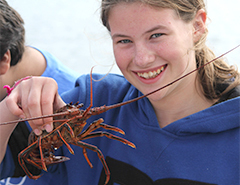 They snorkled along coral reefs, dissected squid, swam with sharks, participated in lab studies, and so much more. Annual Seacamp visits are just one of our unique TCS traditions. Visit our SeaCamp gallery.